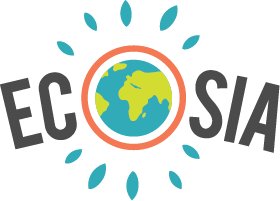 Ecosia has around 8 million users and almost 1 million followers on Facebook. Two thirds of them are located in either France or Germany. People between 20 and 30 years of age living in larger cities are overrepresented groups. And we have slightly more female users than male ones. What all of them share is their interest for environmental topics. If your target customers fits into that bucket – how can you reach them online? Log in to create your own Bing Ads. Create your campaign and select target locations. Enter target keywords that will trigger your ad. Define text and links to be shown in your ad. Set your ad distribution under “Advanced Settings”. Check “Bing, AOL and Yahoo! Syndicated Partners Only”. Uncheck all the other options. Your ads will now run on Bing and its entire Syndicated Partner Network. Check your campaign once your ads have served a few impressions. Navigate to the “Dimensions” tab on your “Campaign Dashboard”. Select “Publisher Website” to see all the search partners showing your ads. Export that list and copy all the URLs except “Ecosia” and "Bing and Yahoo Search Properties Only" (which you cannot delete). Now, navigate to your Campaign settings. Open up “Exclusions” under “Advanced Settings”. Paste your list of URLs into that box and save.